Outside dimensions: 40 Inches wide and 28 Inches tall. The painted canvas is: 36 Inches wide and 24 Inches tall. 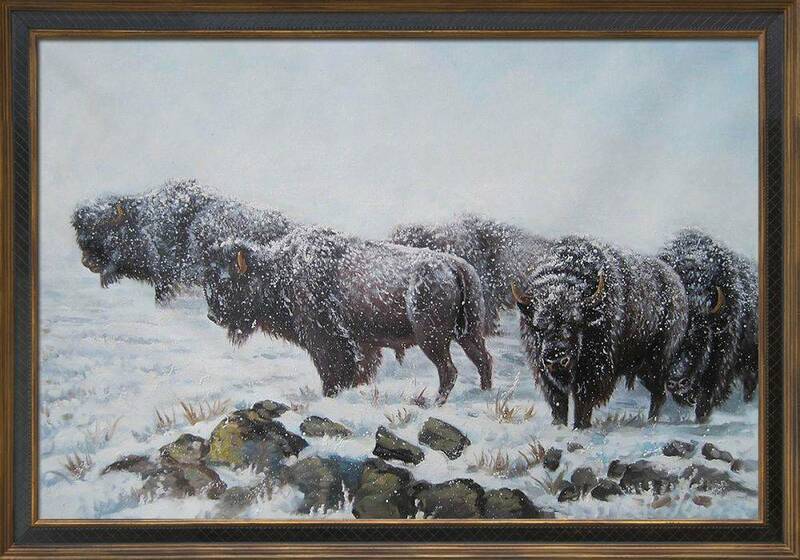 "The Shapes of Winter" presents a gorgeous wintry scene with majestic buffalo grazing in the foreground. You'll be fascinated by the realistic appearance of this painting by contemporary painter John Lofgreen. 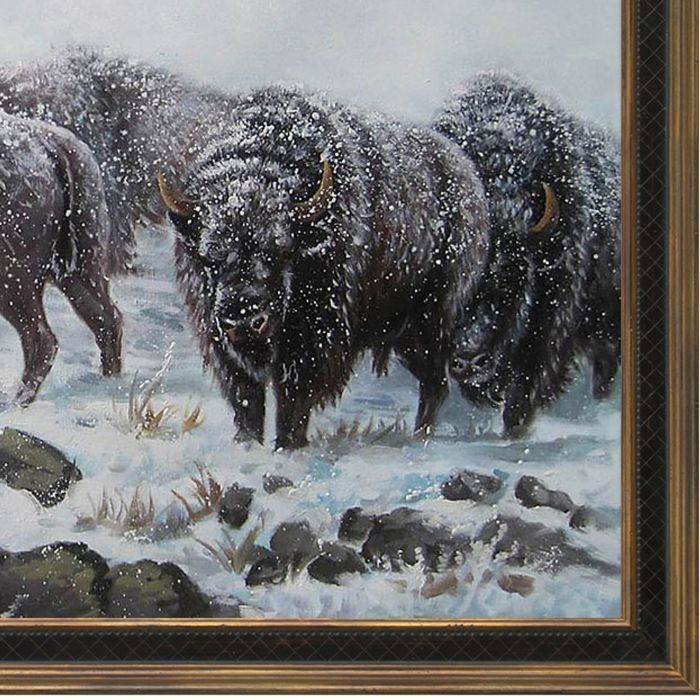 The artist's affinity for wildlife is apparent in his incredibly detailed rendering of each animal. 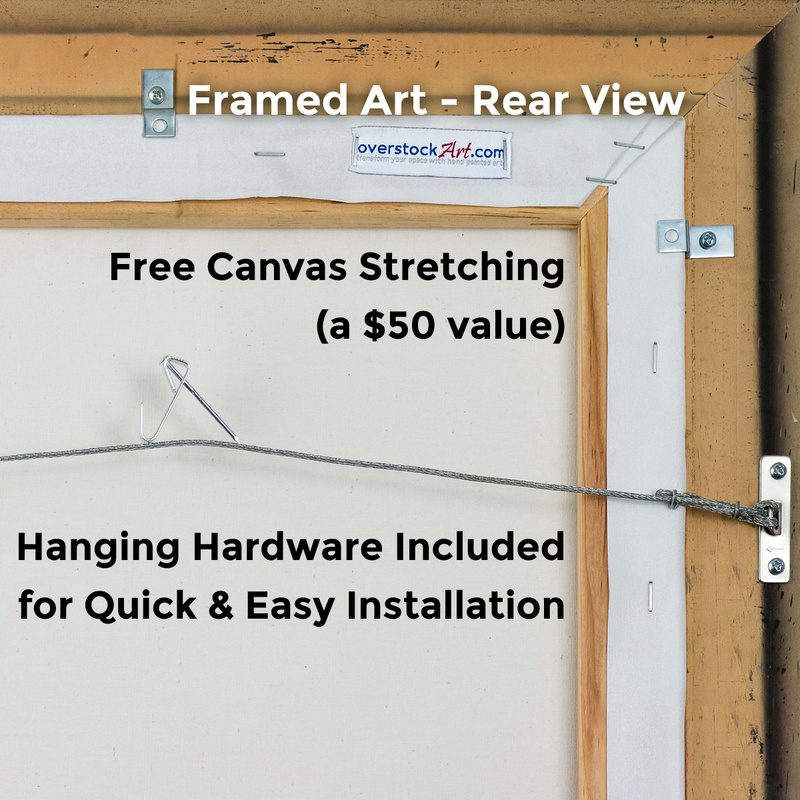 Add a stunning Alaskan landscape painting to your collection when you order this pre-framed reproduction on canvas from overstockArt. Color Palette for The Shapes of Winter Pre-Framed is empty.